High-strength steel S960 is one of a number of advanced steels able to meet the demands of the shipbuilding, offshore, and construction industries for a favorable good high strength/weight ratio. Gas metal arc welding (GMAW) is commonly used in all structural steel fabrication, and developments in GMAW have removed previous limitations regarding high heat input and have reduced flaws. One solution for controlled heat input while ensuring a stable arc is alloying the welding wire. Usage of nanoparticles as an alloying element in welding wire have shown significant improvements in weld properties. 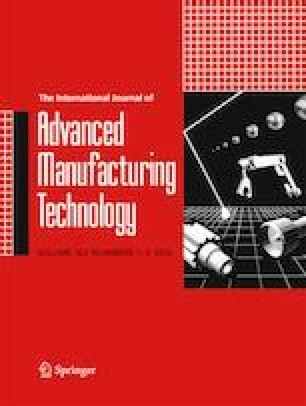 This study investigates an S960QC joint welded with a welding wire having Lanthanum (La) nanoparticles as a coating and examines the influence of La on the welding parameters, arc stability, microstructure formation, and mechanical properties. The results are compared with a weld formed with conventional Union X96 welding wire. The microstructures observed in the weld region were martensite and tempered martensite for both wires. In the heat-affected zone, microstructures of upper bainite, martensite, tempered martensite, and globular bainite were found. The La nanoparticle-coated wire provided a stable arc during welding. However, due to the increase in wire thickness, manual wire feeding was required. The impact toughness was lower in the joint formed with the nanoparticle-coated wire. Additionally, the hardness at the fusion region was higher in the joint welded with the nanoparticle-coated wire. Open access funding provided by Lappeenranta University of Technology (LUT). This work was supported by the Lappeenranta University of Technology, Finland and Peter the Great St. Petersburg Polytechnic University, Russia. The authors are grateful to Antti Kähkönen, Antti Heikkinen, Alexey Maystro, and Vitaly Dmitriev for providing the test materials. The research work was completed during ENI CBC project Energy-efficient systems based on renewable energy for Arctic conditions “EFREA” financed by the European Union, the Russian Federation, and the Republic of Finland. All the authors read, analyzed, approved, and wrote the final manuscript.